A non-profit organization founded in 1996. It is named after Frostbite Half Marathon, which was held in Montgomery Bell State Park from 1979 to 2007, then in Cedars of Lebanon State Park from 2008 to currently. 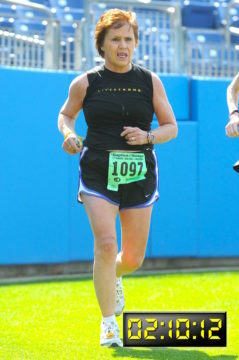 Lynda de Paulis, pictured above, has been the race director since 1994.